Seasonic is well-known in the consumer space for producing high-quality power supplies. 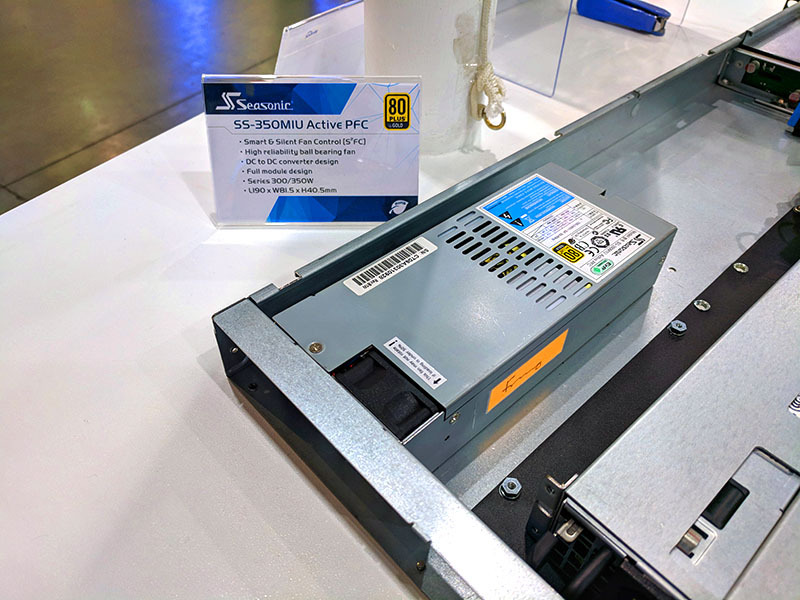 At Computex 2018 we had the opportunity to check out Seasonic server power supply offerings. 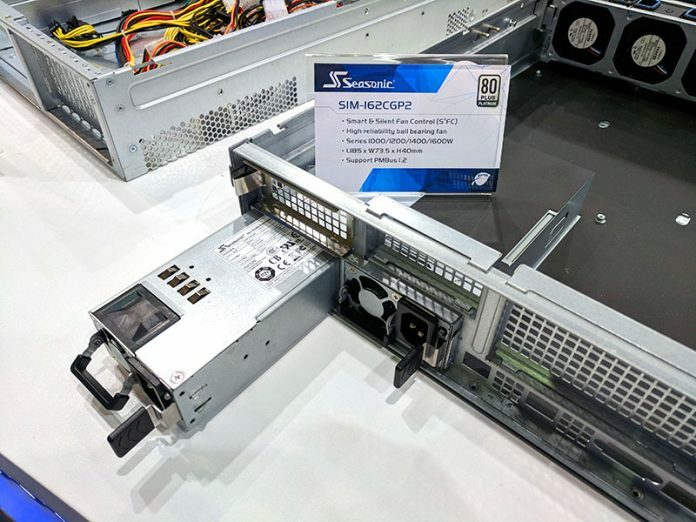 The Seasonic SS-350M1U was shown off in a 1U chassis. This is a really interesting unit for a few reasons. The SS-350M1U utilizes a pseudo modular cabling. You are most likely going to install all of the cables but the concept of being modular is a good one. If you ever needed to replace the PSU, you do not need to re-cable the chassis which can be tough in servers. The Seasonic SS-350M1U also features fanless operation at low loads so it has been popular as a quiet replacement in some 1U chassis. The unit is rated at 350W and 80+ Gold making it an upgrade over some of today’s 1U PSUs. Seasonic also showed off a number of redundant power supplies. For a 2U stacked redundant power supply, the Seasonic S2N-801CCPS is designed for easy servicing. The Seasonic S2N-80ICCPS comes with two PSU options, 800W or 600W. Rated at 80+ Platinum the units are in-line with mainstream server power supplies. One of the more interesting products is the side-by-side redundant PSU, the Seasonic S1M-162CGP2. 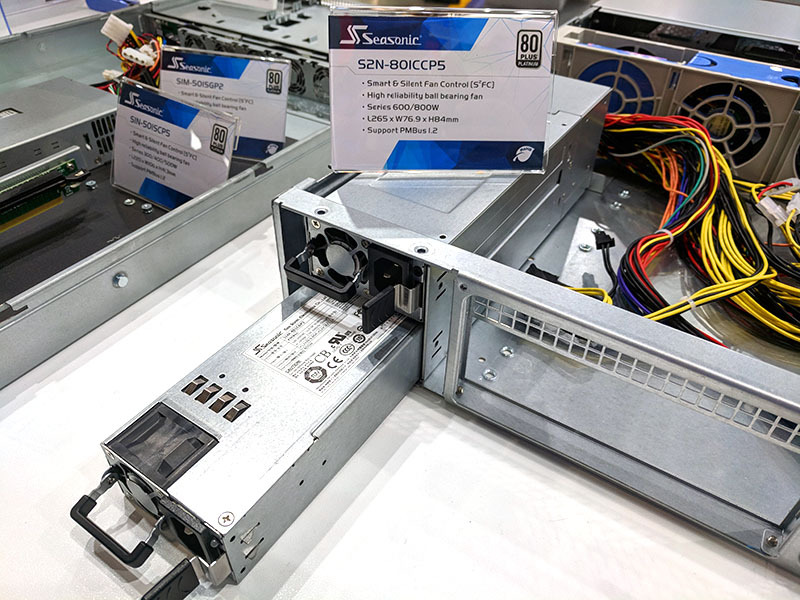 During Computex 2018, Seasonic showed off the units in a Chenbro sourced chassis. 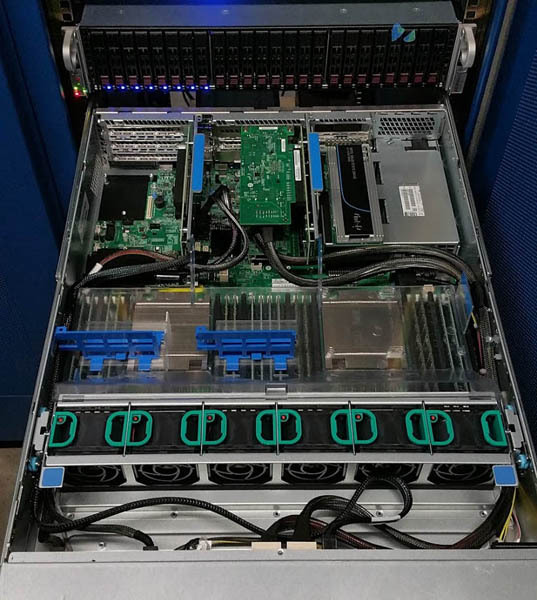 The particular chassis that was shown off is used in a number of OEM systems such as those from Intel and Symantec. It is great to see Seasonic building products for OEM systems players and the common slot PSU form factor. These are 80+ Platinum rated PSUs as well which is a common efficiency rating in these servers. Seasonic showed off a number of other server-focused offerings along with a number of traditional power supply form factors such as ATX at Computex 2018. We wanted to show some of the highlights that may not have been shown elsewhere.